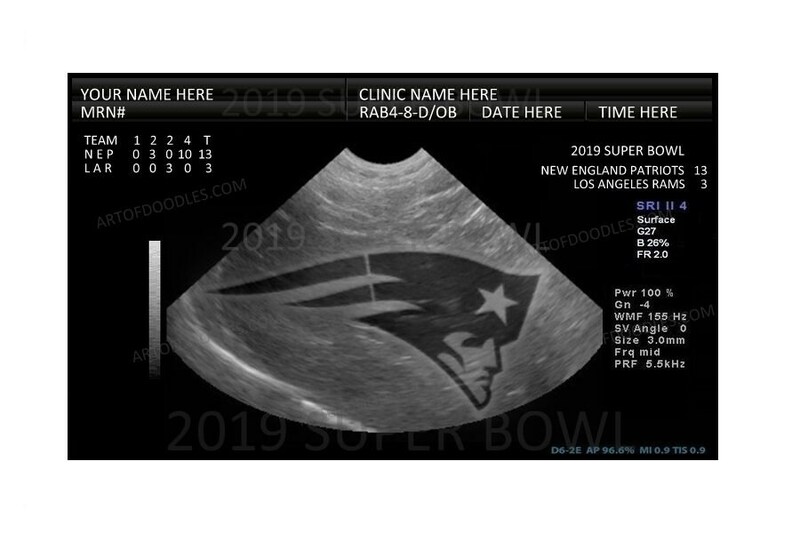 What a perfect way to announce that you are having a baby with this 2019 Super Bowl ultrasound announcement! This is a digital item that I will send via email (or etsy messages) after I add your info to the image. If you want a different sports team you can message me when you order. I can also do fetal ultrasound images as well (please specify when you order what you want).